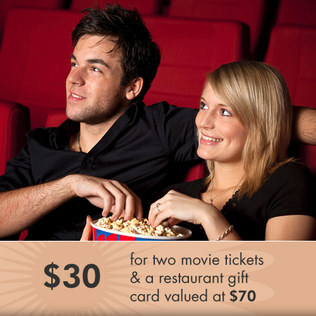 Pay $30 for 2 Movie Tickets AND a $50 Restaurant.com Gift Card! Head over to Zulily to get a great date night deal! For a limited time, you can get 2 Fandango movie tickets and a $50 Restaurant.com gift card for only $30. This is a $70 value!